​If I want to change from one pet medical insurance company to another what do I do? Firstly, the policyholder must give the current insurer notice of cancellation. Then the policyholder must apply for a policy with the new insurer making sure that the application form stipulates that the new policy must start on the day following the last day of the policy being cancelled. Doing so ensures that the pet is never without insurance and also ensures that the policies do not overlap and the policyholder does not pay a double premium. Every contract of insurance has a “Cancellation Clause”. The policyholders must therefore familiarize themselves with this clause to understand the procedures and conditions for cancellation. The clause usually applies to both parties i.e. the insurer and the insured, although the conditions under which each may cancel differ somewhat. E.g. 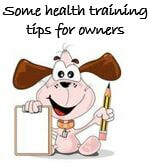 the clause could include the condition that if the insured did not fully disclose the medical condition of the pet at the time of applying, the insurer may cancel the policy. Obviously this condition only applies to the insurer. Usually, the clause says that either party may cancel the policy by giving 30 days’ notice. Some insurance companies will take that as 30 days from the day notice of cancellation is received by them. Others say that cancellation notices are only processed at the end of a month from which date the 30 days will start counting. This effectively results in giving a calendar month’s notice. 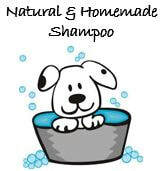 When it comes to dog shampoo, there are plenty of inexpensive, natural, and gentle ways to make sure your pup is clean and healthy. 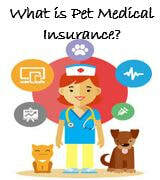 What is a Pet Medical Insurance and how does it work?